In light of his recent passing, TFI will be honouring Glen Campbell at their next First Friday Screening. Enjoy a drink from our Vintage Bar beforehand and a post-film discussion afterwards! 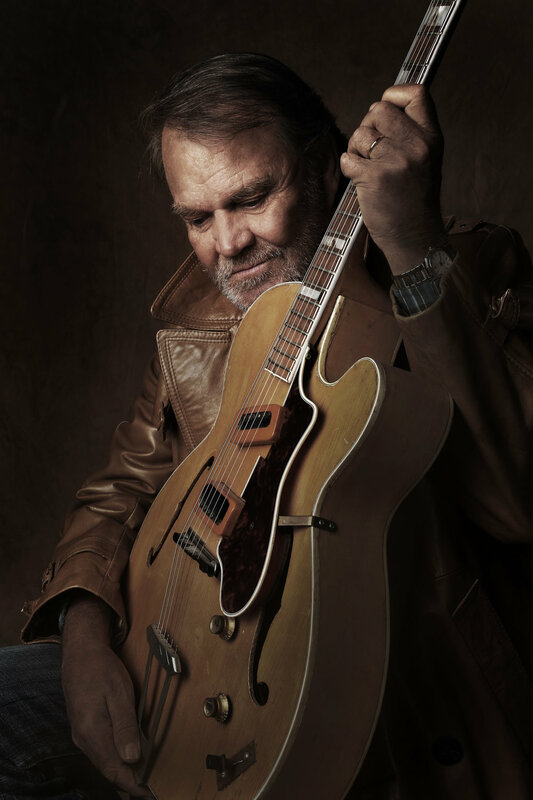 In 2011, music legend Glen Campbell set out on an unprecedented tour across America. Originally intended to last five weeks, it continued for 151 spectacular sold out shows over a triumphant year and a half across America. What made this tour extraordinary was that Glen had recently been diagnosed with Alzheimer's disease. He was told to hang up his guitar and prepare for the inevitable. Instead, Glen and his wife went public with his diagnosis and announced that he and his family would set out on a "Goodbye Tour." The film documents this amazing journey as he and his family attempt to navigate the wildly unpredictable nature of Glen's progressing disease using love, laughter and music as their medicine of choice. Special appearances include Bruce Springsteen, The Edge, Paul McCartney, Blake Shelton, Sheryl Crow, Keith Urban, Brad Paisley, Taylor Swift, Steve Martin, Chad Smith and Bill Clinton among many others.